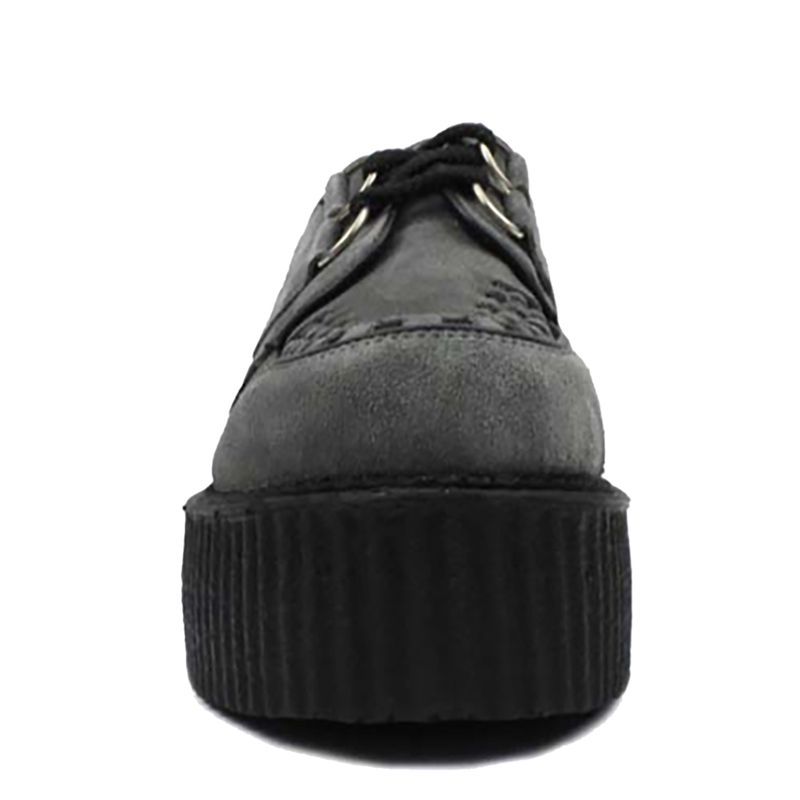 Underground Wulfrun Original Double Sole feature smooth suede uppers, soft breathable textile lining, rubber ribbed outsole unit, twin d-ring eyelet lace up closure, contrasting trims and apron patterns with three rows on interlacing on the vamp. 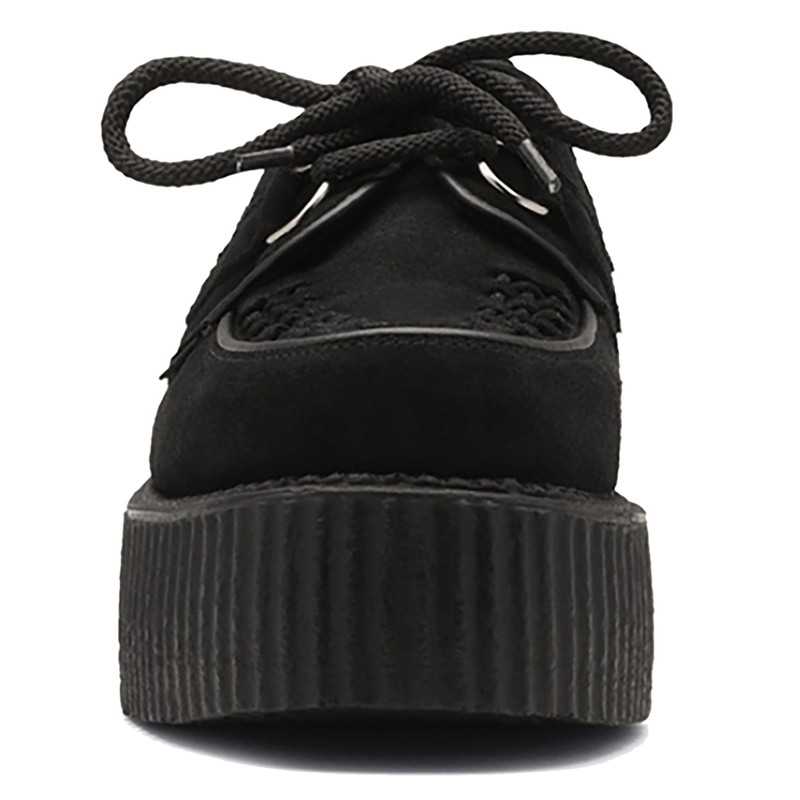 Inspired by the ferocity of punk and founded in its aftermath, Underground’s original creepers were first worn by new romantics, goths and new wavers in Camden, North London. The shoemakers found an important place in music culture, and this has never dwindled. As post-punk gave way to grunge and acid house, Underground’s steel-cap boots were the shoe of choice. Winklepickers found favour as sounds swayed towards guitar music and indie. In recent years, Underground’s shoes have been adopted by like-minded couture designers, creating collections inspired by the brand’s distinctive style and rich cultural heritage. Born from a love of renegade style and rock’n’roll, Underground has remained a touchstone with those for whom style is synonymous with intelligence, independence and a rebellious spirit.